Welcome! You’ve reached the website formerly known as Sportsetc.org. We are still offering the same exciting Stiga products. We just wanted to jazz things up a little because our old website was…well…dated. It just didn’t represent who we really are. We believe our consumers should have as much fun visiting our website as we do coming in to work every morning. No, really! I mean, who wouldn’t have fun working in an office where you get to play with the Stiga merchandise! So, come in, make yourself comfortable and feel free to look around. You’ll find some history, assembly information, and tips as well as a full listing of all our Stiga products and more! Remember that we also carry Stiga replacement parts for when your product starts to show signs of wear and tear after hours and hours of fun (as we all do) you can get it fixed up again like new. 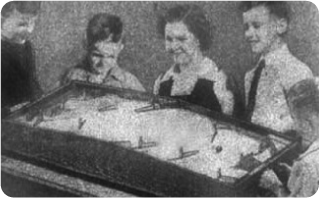 The Sitga NHL Hockey Table game and Stiga Play Off Hockey Table game was invented by a Canadian (of course) named Don Munro in 1932. The story goes that he couldn’t afford Christmas presents that year because of the depression and built his game out of scrap wood and coat hangers. He eventually made more games and sold them at Eaton’s. Over the years, the idea has been sold or borrowed by a number of companies. Swedish based company, STIGA® began making the game in 1957. Their first PRO Hockey Table game was an instant success, selling 250,000 units in the first 2 years. 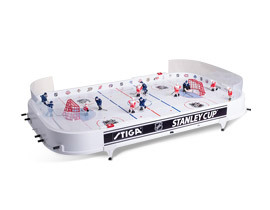 Stiga has sold over 4 million games world-wide in the years since and is the official game of the International Table Hockey Federation. 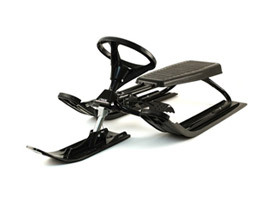 Stiga invented their GT Brand Snowracer in the early 1970’s. Designed by engineer Erland Wikner, the GT has sold millions in the years since. 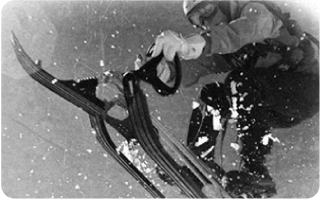 Over the years, Stiga has come out with variations on the designs and the modern version uses a more maneuverable ‘Curve’ system for the skis. They have even designed their SX Pro sleds with BMX style handlebars for more extreme sledding. The product must not be modified or changed. An adult must check to see that the product is intact prior to use. 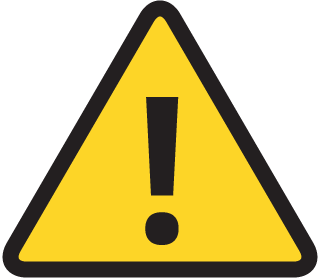 For safety reasons, the product should not be used until any and all faults have been corrected. Only original spare parts from STIGA may be used when the product is repaired.